Bhairon Singh Shekhawat served as the 11th Vice President of India (August 2002 – July 2007). He resigned after he lost the Presidential election to Pratibha Patil. Earlier, Shekhawat served as MLA and leader of the Bharatiya Janata Party (BJP). Also, he was the Chief Minister of Rajasthan thrice -(1977 – 1980), (1990 – 1992), and (1993 – 1998). Bhairon Singh Shekhawat was born on 23rd October 1923 in Sikar, Rajputana agency in British India, currently in Rajasthan. He married Suraj Kanwar who died on 9th March 2014 (aged 86). She was cremated at her husband’s memorial as per her last wish. Bhairon Singh Shekhawat is referred to as “Rajasthan ka Ek hi Singh” [Only Lion of Rajasthan] or “Babosa” [Head of the family of Rajasthan]. He started as the MLA from Ramgarh (1957), Sri Madhopur (1962) and Kisan Pol (1967). In 1972, he lost the elections. However, in 1973, he was elected to the Rajya Sabha from Madhya Pradesh. During an emergency, (1975) he was imprisoned in Rohtak jail. In 1977, he won 151 of 200 seats of the Janata Party in Rajasthan and became the MLA from Chhabra. This occurred at the Janata Party of the State assembly elections and was the first non-Congress Chief Minister of Rajasthan. His government was dismissed by Indira Gandhi (1980). The Same year, Shekhawat joined Bhartiya Janata Party (BJP) as the MLA from Chabda. In 1985, he was the MLA from Nimbahera. 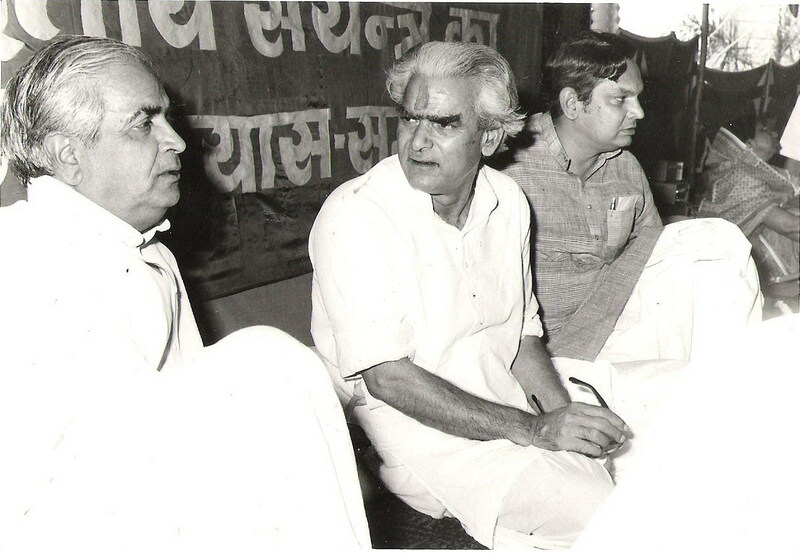 There was an alliance between BJP and Janata Dal in 1989 when the team won all 25 Rajasthan seats in the Lok Sabha. Again, in 1990 elections the team won 138 seats (BJP: 84 + Janata Dal: 54) to the Ninth Rajasthan Legislative Assembly. Again, Shekhawat became the Chief Minister of Rajasthan. Shekhawat was the MLA from Dholpur but his government was dismissed and President’s rule was imposed in 1992. In 1993 election, Shekhawat led the BJP as the single largest party that won 96 seats for himself. He was the MLA from Bali. Three other BJP-supporters independently won seats so BJP took 116 seats. Shekhawat was the elected Chief Minister of Rajasthan for the third time. In 1998, Shekhawat was elected the MLA from Bali. However, entire BJP lost power so he joined as the leader of the opposition in the assembly. Shekhawat was elected as the Vice-President of India after defeating his opposition candidate, Sushil Kumar Shinde (2002). After Shekhawat lost to Pratibha Patil in the Presidential election, he resigned his post on 21 July 2007. Shekhawat introduced the “Any Day Yojana” scheme for uplifting the poorest of the poor. Also, he controlled over bureaucracy and police force. Shekhawat improved the literacy, industrialization, and tourism in Rajasthan. 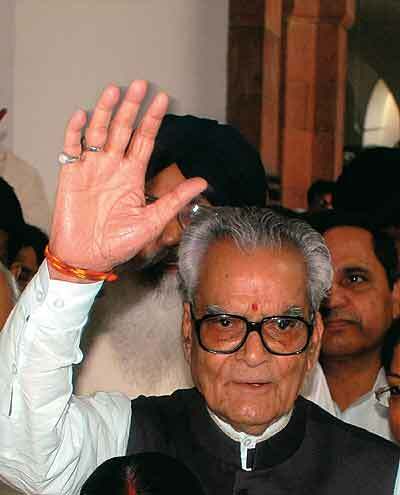 Bhairon Singh Shekhawat died of cancer and other old-age-related health problems. He passed away on the 15th May 2010 at the Sawai Man Singh Hospital, Jaipur. The following day, he was cremated at the plot of land provided by the government of Rajasthan. The great politician’s memorial was later built at the same spot. Thousands of people attended his funeral. At the time, he was survived by his wife, Suraj Kanwar, and his daughter, Ratan Kanwar, married to the BJP leader, Narpat Singh Rajvi. Bhairon Singh always envisioned India as Poverty free nation. He started many yojanas to eradicate the poverty as well. He stressed more on good governance. In the same context he wrote a book titled: Vision of Vibrant India which was published in the year 2007.